Dairy farms in the King Country were established wherever the land was flat enough. Dairy factories opened from the early 1900s. 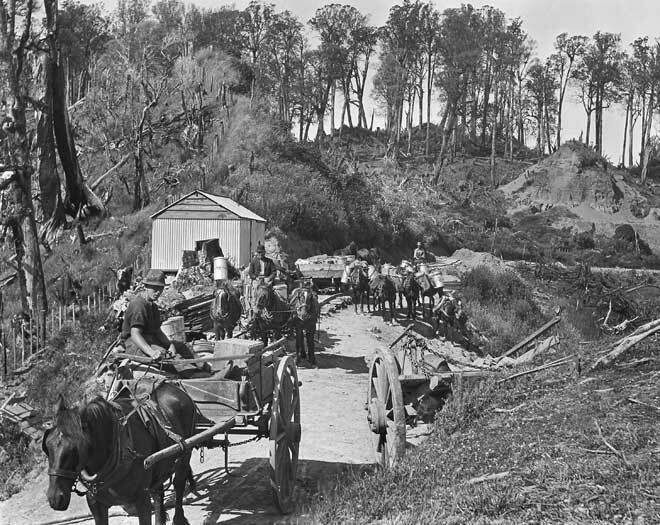 Here, cream is being transported from a depot on the Tangitū Saddle to Waimiha by wagon or tramway in 1914. The cream was graded and weighed in Waimiha and then transported in larger cans to Ōtorohanga by rail for processing.